Anything Goes is generously sponsored by , , George and Duffy Ftikas, Margot Kelly, Hubert M. (Hank) Schlosberg and Sheila Stampfli. Choreography is sponsored by Virginia McGehee Friend. Anything Goes runs aproximately 2 hours and 45 minutes with one 15 minute intermission. JIMMY RAY BENNETT (Lord Evelyn Oakleigh) was last seen in Washington, D.C. at the Kennedy Center in Broadway 3 Generations. He played Nathan Brooks for two seasons on Amazon’s Hand of God, is co-creator of the Off-Broaday “cult hit” the Nuclear Family and is the character of Floyd in Grand Theft Auto games. Past theaters include La Jolla, Barrow Street, NYTW, the McCarter, New World Stages, the Ogunquit Playhouse and NY City Center. CORBIN BLEU (Billy Crocker) comes from an extensive background in film, television and theatre. He is probably best known for playing Chad Danforth in Disney’s Emmy Award-winning High School Musical franchise. Corbin was recently seen on Broadway as Ted Hanover in the Tony-nominated production of Holiday Inn, The New Irving Berlin Musical, winning the Chita Rivera Award for Outstanding Male Dancer in a Broadway Show. Additional Broadway credits include: Godspell (Jesus) and In the Heights (Usnavi). Other stage highlights include Hairspray (Seaweed) and Mamma Mia! (Sky), both at The Hollywood Bowl. Most recently Corbin starred as Don Lockwood, the role made famous by Gene Kelly in The Muny's centennial season production of Singin' in the Rain. Also in 2018, Corbin was honored as Entertainer of the Year from the Tremaine National Gala honoring his work in the dance industry. His film credits include: To Write Love on Her Arms (starring opposite Kat Dennings), Nurse 3-D and The Monkey's Paw, to name a few. Corbin’s television credits include: Franklin & Bash, Blue Bloods, Psych, Castle, The Fosters and Chicago Med. In 2013, he partnered with Karina Smirnoff on the multi-Emmy Award-winning ABC hit Dancing with the Stars, placing a close second. A Brooklyn native, Corbin currently resides in Los Angeles with his wife, Sasha. DeMOYA WATSON BROWN (Ensemble / Angel / Evangeline Harcourt Understudy) last appeared at Arena Stage in Sophisticated Ladies alongside the legendary Maurice Hines. Off-Broadway and regional credits include The Radio City Christmas Spectacular (Rockette), The WIZ (Ford’s Theatre), Crazy for You, Jelly's Last Jam and Dreamgirls (Signature Theatre) and The Boys from Syracuse (Shakespeare Theatre Company). Other stage appearances include the Washington National Opera’s productions of Champion and Show Boat and Disney’s productions of Finding Nemo the Musical and Beauty and The Beast. Television credits include Dancing with the Stars, The Ellen DeGeneres Show, CMT’s Top 20 Countdown and TBN’s Praise the Lord. She received her M.A. in Arts Management from George Mason University and her B.F.A. in Dance from Florida State University. STEPHEN DeROSA (Moonface Martin) is making his Arena Stage debut. He began his professional career as an apprentice with the Shakespeare Theater after graduating from Georgetown University. His most recent Broadway credits include On the Town directed by John Rando, Betrayal directed by Mike Nichols and standing by for Nathan Lane in The Nance directed by Jack O'Brien. Other notable Broadway credits include Wilbur Turnblad in Hairspray and the Baker in Into the Woods. Off-Broadway he appeared in Red Bull Theater's The Government Inspector, Atlantic Theater's These Paper Bullets!, Love's Fire for the Acting Company as well as the acclaimed revival of The Mystery of Irma Vep. Screen credits include The Blacklist, Cafe Society and as Eddie Cantor on HBO's Boardwalk Empire. Stephen received his M.F.A. from Yale Drama School. JONATHAN HOLMES (Captain / Ensemble / Moonface Martin Understudy) This is Jonathan’s first show with Arena Stage. Recent theater includes The Massive Tragedy of Madame Bovary (Liverpool Everyman/Bristol Old Vic), Crazy For You and The King and I (Gateway Theatre, Richmond), Brief Encounter (Kneehigh/Vancouver Playhouse) and The Thing About Men (Arts Club, Vancouver). Jonathan’s extensive film and television credits include Anne With An E (2 seasons), The BFG, Rogue, Descendants, Nightwatching, Almost Human, 4400 and Stargate: Atlantis. His voice can be heard on numerous animated series, most recently the Netflix Original series The Dragon Prince. BRENT McBETH (Ensemble / Lady Fair Quartet / Fred / Photographer / Lord Evelyn Oakleigh Understudy) is thrilled to make his Arena Stage debut. His New York performance credits include Big Apple Circus - The Grand Tour (Skip The Clown, Lincoln Center); No, No, Nanette (City Center Encores); Face The Music (City Center Encores); TimeStep (New Victory Theater) and Everybody Gets Cake (59E59 Theater). A few of Brent’s favorite regional and touring credits include White Christmas (cast recording), international tour of Fosse (dance captain), Thoroughly Modern Millie (Ogunquit Playhouse), Singin’ in the Rain (Ordway Theater) and Anything Goes (Theater Under the Stars). ALLIE O’DONNELL (Swing) is thrilled to make her Arena Stage debut with Anything Goes! D.C. credits include Big Fish (Keegan Theatre); Pippin (Monumental Theatre Company); Kiss Me, Kate (Annapolis Shakespeare Company); Five Lesbians Eating A Quiche (Monumental Theatre Company); Show Boat (Toby's Dinner Theatre); Heathers: The Musical (Red Branch Theatre Company) and Sweeney Todd (Red Branch Theatre Company). Allie is a graduate of The Catholic University of America. Instagram: @the_other_odonnell. KRISTYN POPE (Ensemble / Angel / Reno Sweeney Understudy) is grateful to Molly, Parker, Geoff, Lizz and the Arena family for this opportunity, with special thanks to Paige at Resolute Artists Agency for her guidance and support. “You have to take risks…We will only understand the miracle of life fully when we allow the unexpected to happen.” ~Paulo Coelho. In loving memory of her incredible mom. Agape…Ps100. CHRISTOPHER SHIN (Luke / Ensemble) is thrilled to be making his Arena Stage debut! He made his Broadway debut in Mary Poppins, where he was a part of the closing company. Regional credits include Goodspeed Musicals, Maltz Jupiter Theatre, Walnut Street Theatre, Sacramento Music Circus, North Shore Music Theatre, Ogunquit Playhouse and Kansas City Starlight. Chris has a B.F.A. in Drama from New York University’s Tisch School of the Arts. Instagram: @chrisshinsplints. THOMAS ADRIAN SIMPSON (Elisha Whitney) returns to Arena Stage where he was most recently seen in Dave. Other Arena appearances include Karl Lindner in A Raisin in the Sun; Col. Pickering in My Fair Lady; Abraham Lincoln in Mary T. & Lizzy K.; and Roy in A Light in the Piazza, among others. Recent regional credits include: Frollo in The Hunchback of Notre Dame at The Riverside Center; Caiaphas in Jesus Christ Superstar and Pete the cowboy in Crazy For You at Signature Theatre; and Judge Turpin in Sweeny Todd at The Olney Theatre Center. Tom can be seen in season four of Netflix’s House of Cards. Tom is proud to be a graduate of the University of North Carolina School of the Arts. LISA TEJERO (Evangeline Harcourt) was last here at Arena in Mary Zimmerman’s Metamorphoses, which she performed in on & Off-Broadway, and will next be doing again in Berkeley and at the Guthrie in winter of 2019. Regional credits include Do You Feel Anger? in Louisville Theatre's Humana Festival; Henry V and The White Snake (Oregon Shakespeare Festival); Stop/Reset, Ghostwritten, Mirror of the Invisible World, Silk, The Odyssey, As You Like It (Goodman Theatre); Ethan Frome, Argonautika, Old Curiosity Shop, 1984, S/M (Lookingglass Theatre Company); Kafka on the Shore (Steppenwolf Theatre Company); and Importance of Being Earnest as Lady Bracknell at Iowa Summer Repertory. Lisa has also appeared at Victory Gardens, Court Theatre, Huntington Theatre, Cincinnati Repertory, Mark Taper Forum, Seattle Rep, Berkeley Rep and Missouri Rep. Film credits include Medicine Show, Chain Reaction, Above the Law, De-evolution of Ethan Chadwick and A Man’s Woman. Lisa received a 2002 Drama League Distinguished Performance nomination for Metamorphoses and a Jeff Award nomination last year for her portrayal of Vivian Bearing in The Hypcrite's Wit. COLE PORTER (Music & Lyrics) was born in Peru, Indiana, in 1891. He graduated from Yale, where his football songs are still popular. After the failure of his first Broadway show, he lived in Europe, where he married legendary beauty Linda Lee Thomas. Returning to New York in the late 1920s, he gained renown for many great songs, including “Night and Day,” “Begin the Beguine,” “You’re the Top” and “I Get a Kick Out of You.” His 1930s were highlighted by such Broadway offerings as Anything Goes, Gay Divorce and Jubilee. A crippling riding accident in 1937 left him in constant pain, yet he continued to write memorable scores, among them Can-Can, Silk Stockings and his masterpiece, Kiss Me, Kate. He died in 1964. P.G. WODEHOUSE and GUY BOLTON (Original Book) were both born in England. They were introduced by Jerome Kern, and he suggested they all work together. They did, tirelessly, and in the beginning of their collaboration wrote nearly one show per month—the famed Princess Theatre musicals. Bolton and Wodehouse went on to write more than 20 musicals together. Usually, they collaborated on the book, and Wodehouse wrote the lyrics. Both lived into their 90s, and both, together and individually, were astoundingly prolific. Bolton, with one collaborator or another, or on his own, had a hand in well over 100 musicals and straight plays as well as numerous film scripts and novels. Wodehouse wrote 97 books—more notably the “Jeeves” novels—and countless short stories, articles, essays and films, and in 1975 was knighted side by side with Carlie Chaplin. In addition to Anything Goes, their work together includes Have a Heart; Oh! Boy; Leave It to Jane; Oh, Lady! Lady!! ; Sitting Pretty; Oh, Kay! and Rosalie. They remained friends and neighbors (in Remsenburg, NY) throughout their final days. HOWARD LINDSAY and RUSSEL CROUSE (Co-Authors of the Original Book) The Lindsay and Crouse partnership stands today as the longest collaboration of any writers in theatrical history, lasting for more than 28 years. They first joined forces in 1934, when the producer Vinton Freedley brought them together to rewrite the libretto for Anything Goes (which Lindsay directed). Two years later, they wrote another Cole Porter show, Red, Hot and Blue. Their first straight play, Life With Father, opening in 1939 and holds the record for the longest running play on Broadway, at 3,224 performances. Lindsay and his wife Dorothy Stickney created the roles of Clarence and Vinnie Day, performing them for five years. Among other plays, Lindsay and Crouse also wrote The Sound of Music (score by Rodger and Hammerstein); the Pulitzer Prize-winning State of the Union; Call Me Madame and Mr. President (scores by Irving Berlin); The Prescott Proposals and The Great Sebastians. They produced The Hasty Heart, Detective Story and Arsenic and Old Lace. Howard Lindsay (1889-1968) was an actor, stage manager, director and playwright before teaming up with Crouse. Russel Crouse (1893-1966) was a newspaperman, a press agent for the Theatre Guild, the author of several books and a librettist before partnering with Lindsay. He later produced, in collaboration with his wife, Anna Erskine Crouse; a son, the writer Timothy Crouse; and a daughter, the actress Lindsay Crouse. TIMOTHY CROUSE (Co-author of the New Book) has been a contributing editor of Rolling Stone and The Village Voice, as well as the Washington columnist for Esquire, writing numerous articles for these and other publications, including The New Yorker. He is the author of The Boys on the Bus, a classic account of the role of the press in presidential campaigns. With Luc Brébion he translated Roger Martin du Gard’s Lieutenant-Colonel de Maumort (Knopf, 2000). He is currently writing short stories, one of which, “Sphinxes,” was included in the O. Henry Prize Stories 2005. He is the son of one of the original authors of Anything Goes, Russel Crouse. JOHN WEIDMAN (New Book) has written the books for a wide variety of musicals, among them Pacific Overtures, Assassins and Road Show, all with scores by Stephen Sondheim; Contact, co-created with director/choreographer Susan Stroman; and Take Flight and Big, scores by Richard Maltby Jr. and David Shire. Since his children were pre-schoolers, Weidman has written for Sesame Street, receiving more than a dozen Emmy Awards for Outstanding Writing for a Children’s Program. From 1999 to 2009, he served as president of the Dramatists Guild of America. MOLLY SMITH (Director) has served as Artistic Director since 1998. Her more than 30 directing credits at Arena Stage include The Originalist, Fiddler on the Roof, Camp David, Carousel, Mother Courage and Her Children, Oklahoma!, A Moon for the Misbegotten, My Fair Lady, The Great White Hope, The Music Man, Legacy of Light, The Women of Brewster Place, Cabaret, South Pacific, All My Sons and How I Learned to Drive. Her directorial work has also been seen at Canada’s Shaw Festival, Pasadena Playhouse, The Old Globe, Asolo Repertory, Berkeley Repertory, Trinity Repertory, Toronto’s Tarragon Theatre, Montreal’s Centaur Theatre and Perseverance Theater in Juneau, Alaska, which she founded and ran from 1979-1998. Molly has been a leader in new play development for over 30 years. She is a great believer in first, second and third productions of new work and has championed projects including Dear Evan Hansen; Next to Normal; Passion Play, a cycle; and How I Learned to Drive. She has worked alongside playwrights Sarah Ruhl, Paula Vogel, Wendy Wasserstein, Lawrence Wright, Karen Zacarías, John Murrell, Eric Coble, Charles Randolph-Wright and many others. She led the re-invention of Arena Stage, focusing on the architecture and creation of the Mead Center for American Theater and positioning Arena Stage as a national center for American artists. During her time with the company, Arena Stage has workshopped more than 100 productions, produced 39 world premieres, staged numerous second and third productions and been an important part of nurturing nine projects that went on to have a life on Broadway. In 2014, Molly made her Broadway debut directing The Velocity of Autumn, following its critically acclaimed run at Arena Stage. She was awarded honorary doctorates from American University and Towson University. This summer, she will direct The Originalist Off-Broadway at 59E59 Theaters. PARKER ESSE (Choreographer) is a six-time Helen Hayes Best Choreography nominee and recipient for Arena Stage’s Oklahoma! and The Pajama Game. Director/choreographer credits include Crazy for You and West Side Story (Finger Lakes Music Theatre Festival). Choreographer credits include A Bed and a Chair: A New York Love Affair (Encores! ); The Pajama Game, Carousel, Oliver!, Fiddler on the Roof, Smokey Joe’s Café, The Music Man and The Light in the Piazza (Arena Stage); A Wonderful Life, Fiddler on the Roof, The Most Happy Fella and Carousel (Goodspeed); Seven Brides for Seven Brothers (Ogunquit Playhouse); West Side Story (Signature Theatre); Bells are Ringing and Little Shop of Horrors (Berkshire Theatre Group); and Me and My Girl, Sweet Charity and Guys and Dolls (Canada’s Shaw Festival). Associate choreographer credits include Broadway’s Finian’s Rainbow and A Tale of Two Cities, and featured performer in Fosse. ALEJO VIETTI (Costume Designer) Arena Stage: Ella and The Pajama Game. New York credits include Broadway’s Holiday Inn, Allegiance (Drama Desk nomination) and Beautiful: The Carole King Musical (US tour, West End -Olivier Award nomination, Australia, Japan and UK tour). Works for City Center Encores!, Radio City Rockettes, Roundabout Theatre, Manhattan Theatre Club, Atlantic Theater, Irish Rep and Primary Stages, among others. Opera: New York City Opera, Chicago Lyric Opera, Minnesota Opera, Wolf Trap Opera and Donesk Opera (Ukraine). Selected regional work includes Alley Theatre, Shakespeare Theatre, Ford’s, Signature, Center Stage, Goodspeed, Guthrie, Hartford Stage, Paper Mill Playhouse, La Jolla Playhouse and The Old Globe. Other credits: Disney's The Hunchback of Notre Dame in Japan and Germany and Ringling Brothers and Barnum & Bailey Circus. TDF Irene Sharaff Young Master Award recipient. KIMBERLY PURTELL (Lighting Designer) returns to Arena Stage, having previously designed for Snow Child. She is a Torontobased lighting designer in theater, opera and dance. Kimberly first collaborated with Molly Smith at the Shaw Festival on Our Town. Recent credits include Mamma Mia (Citadel Theatre); The Humans (Theatre Calgary); Life After and Declarations (Canadian Stage Company); Madness of King George and Androcles and the Lion (Shaw Festival); Timon of Athens, The Virgin Trial and The Madwoman of Chaillot (Stratford Festival); The Barber of Seville (Pacific Opera Victoria). She designed the Canadian tour of Life Reflected (National Arts Centre Orchestra) and the North American tour for Emily Haines & the Soft Skeleton. Kimberly received the Pauline McGibbon Award, three Dora Mavor Moore Awards and a Montreal English Theatre Award. DANIEL ERDBERG (Sound Designer) returns to Arena Stage, where his work has appeared in The Pajama Game, Dear Evan Hansen and The Lion. Daniel’s designs have been heard at numerous New York theatres, including The Public, Roundabout, City Center, 59E59, Atlantic, Prospect and HERE. Highlights include the American premiere of Caryl Churchill’s Drunk Enough to Say I Love You, Mike Daisey’s Last Cargo Cult and Time It Was with Bill Irwin. Regional credits include Milwaukee Rep, Geffen, ACT, Merrimack and Long Wharf, as well as productions in Korea, Japan, China, Canada and Cuba. He is a frequent Broadway associate designer, where credits include Iceman Cometh, Significant Other, Violet, Glass Menagerie, A Streetcar Named Desire, Heiress and The Nance. Daniel is on faculty at Tisch/NYU and a graduate of Northwestern University. CHARLES G. LaPOINTE (Hair and Wig Design) has designed over 100 Broadway, Touring, West End and International productions including: Hamilton; The Band’s Visit; Beautiful: The Carole King Musical; Torch Song Trilogy; Beetlejuice; The Lifespan of a Fact; The Cher Show; SpongeBob SquarePants (2018 Drama Desk Award Outstanding Wig and Hair Design); The Donna Summer Musical; Amélie; Motown the Musical; Memphis: The Musical ; On Your Feet; Allegiance; A Gentleman’s Guide to Love and Murder; The Color Purple; Doctor Zhivago; Of Mice and Men; Violet; Sideshow; The Elephant Man; After Midnight; Clybourne Park; Newsies; The Mountaintop; Superior Donuts; In the Heights; Jersey Boys. Television: The Wiz Live! (Emmy Award nomination); Jesus Christ Superstar Live! (Emmy Award Nomination); Bluebloods; American Crime; Maddoff; Hairspray; In A Man’s World. 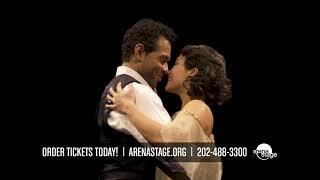 LISA NATHANS (Dialect and Vocal Coach) is thrilled to be coaching for Arena Stage! Other D.C. area credits include Shakespeare Theatre Company/5th Avenue Theatre: The Secret Garden (Broadway-bound co-production); and various productions with the Kennedy Center Theater for Young Audiences, Signature Theatre, Theater Alliance, Keegan Theatre and MetroStage. Regional credits include Guthrie Theater, The Road Theatre Company and Theatricum Botanicum. TV credits include National Geographic’s Elemental: Hydrogen vs. Hindenburg. Private coaching/workshop development available; VASTA member. Teaching (USA and UK): University of Maryland: TDPS (Assistant Professor, Voice, Speech, and Acting); CalArts; Stella Adler Academy; RADA; Royal Welsh; Royal Central; University of Washington (PATP MFA); University of Minnesota (Guthrie BFA). TRAINING: Royal Central School of Speech and Drama: MFA (Voice Studies); Boston University: BFA (Acting); Linklater Voice Designation; Colaianni Speech Practitioner. Break legs all! It's all about the Tap in "Anything Goes"
Corbin Bleu (Billy Crocker) in Anything Goes. Photo by Maria Baranova. Photo of Soara-Joye Ross and Corbin Bleu by Maria Baranova. Photo of Mickey Orange, Ben Gunderson, Soara-Joye Ross, Brent McBeth and Nicholas Yenson by Maria Baranova. Photo of Soara-Joye Ross and the cast of 'Anything Goes' by Maria Baranova. Photo of Lisa Helmi Johanson and Corbin Bleu by Maria Baranova. Photo of Stephen DeRosa and Soara-Joye Ross by Maria Baranova. Photo of Lisa Tejero and Thomas Adrian Simpson by Maria Baranova. Photo of Lisa Helmi Johanson and Corbin Bleu by Tony Powell. Photo of Nicholas Yenson, Soara-Joye Ross and Mickey Orange by Tony Powell. Photo of Ben Gunderson, Olly and Corbin Bleu by Maria Baranova. Photo of Jimmy Ray Bennett and Soara-Joye Ross by Maria Baranova. Photo of Nicholas Yenson, Maria Rizzo and Mickey Orange by Maria Baranova. Listen at WTOP External link. Arena Stage is partnering with the Humane Rescue Alliance to support the adoption of shelter animals. The Humane Rescue Alliance’s mobile adoption vehicle will be on site at Arena Stage on November 3 and December 8 between performances. City Dogs Rescue will be coming on November 17. Sunday, November 11, 2018: What makes a great America? Who decides what makes America great? What are the alternate views of what makes a great America, at home and in a global sense? Can America still call itself a global leader? Wednesday, November 28, 2018 at 12 p.m.
Tuesday, December 4, 2018 at 12 p.m.
Wednesday, December 19, 2018 at 12 p.m.
Join Arena Stage for a post-show panel discussion on the representation of Asian Americans on stage, the impact of stereotypes and racially insensitive humor, and how to address the outdated social attitudes oftentimes found in gold standard musicals such as Anything Goes. Arena Stage Literary Manager, Naysan Mojgani, will moderate a panel including: Dr. Terry Park of the University of Maryland’s Asian American Studies Program; Arena Stage Casting Director & Line Producer, Victor Vazquez; and several members of the Anything Goes cast.